The main ingredient of this project, jalapeno seeds can be extracted from the jalapeno peppers themselves, or simply just purchased as a packet at your local home and garden store. The essence of life, water is much needed in order for the jalapeno peppers to grow. It is not about using a lot of water, but just enough to keep the soil moist and the seeds germinating. Really, less is more, or at least in moderation. Along with water, having good, rich soil is necessary for helping your jalapenos become the biggest and plumpest that they can be. Adding fertilizer is a plus, too, especially those with a solid NPK ratio. This refers to a tray that not only holds seeds, but also keeps them moist and protected, thereby not requiring a lot of water to germinate them, particularly if you are short on water. It also helps with sunlight filtering, since the seeds will need a bit of sunlight as means of growing properly. Perhaps you are wondering why you need more than one pot to grow your jalapeno peppers. In fact, it is especially useful if you have more than one pot of different sizes just. Because the small pots are used for germinating and otherwise getting started with your planting and growing process while big pots are best for transferring the already-germinated seeds to be fully cultivated for growing later. For extra nutrients, it can be a good idea to add mulch or mushroom compost to your soil as the seeds are growing, so that they can be more fertilized and fortified in vitamins, minerals, and everything in between. Just like the other essentials of water and soil, having a good amount of sunlight is necessary for cultivating the jalapeno seeds. However, keep it in moderation since too much or too little can cause the seeds to grow inadequately. If you plan to obtain your jalapeno seeds from the jalapeno pepper itself, then do your best to slice it up lengthwise and carefully remove the seeds without getting your hands too exposed to it for a long time. If necessary, wear gloves while removing them, before discarding afterwards. Using a small pot, fill it up with soil. Take two or three jalapeno seeds and plant them into the soil, but not too deep. Then, water it until the soil is just moist enough. 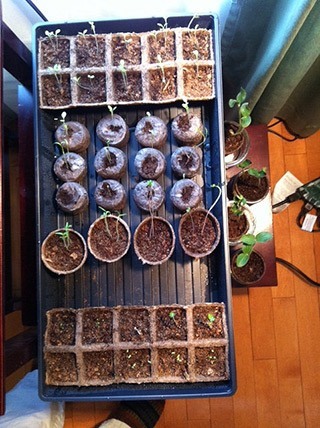 At this point, using a seed tray can also help to keep the soil moist and seeds enriched with the soil. 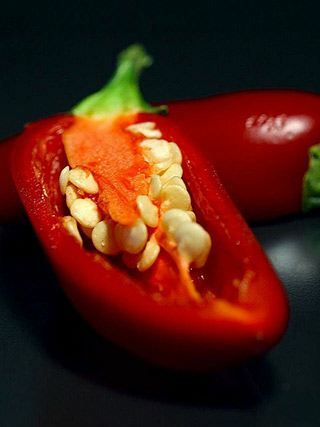 It also helps to keep it in a dark, cool area for them to germinate, since it is just starting out and that too much sunlight at first can create problems for the seeds when it comes to incubating them. As soon as you start to see some sprouting going on, then you know that it is time to transfer them to a bigger pot. Carefully dig up a bit of the seeds along with their soil and replant them in the bigger pot, along with more rich soil. Let the plant get bigger, and with each growth, it helps to place them in bigger pots in order to accommodate for its size. Keep doing this until you have a substantial-sized plant. Once your plant reaches a large enough size, it is about time to take it over to the garden for the final planting. Once again, carefully and slowly dig up the area around which the plant is centered, and transfer it to the soil in your backyard garden. For every jalapeno plant you place into the soil, make sure you keep at least twelve to sixteen inches of space between them, so that they do not grow into each other and therefore affect how they mature. If not careful, then it can result in some inadequate growing, not to forget not the most ideal results. This is not to say that you need to profusely water your jalapeno peppers every day, but rather give them just the right enough in order to keep them growing. As a rule of thumb, water your peppers at least once a day, or least every other day, thereby contributing to about 1 inch (or 2.5 centimeters) of water per week. As for sunlight, give your seeds at least six hours of it per day, in order to keep it growing strong and vitally. 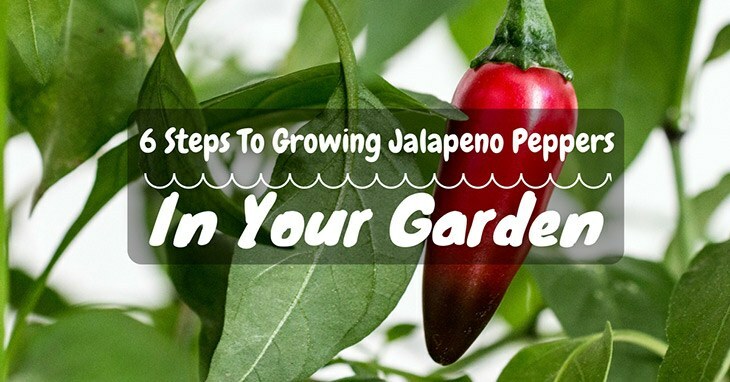 This step is done after you transfer your jalapeno plant over to the garden stage, after having been in the pot for germination. Make sure at this stage as well that the plant is dug in deep enough for enough nutrients in the soil, as well as for the water. 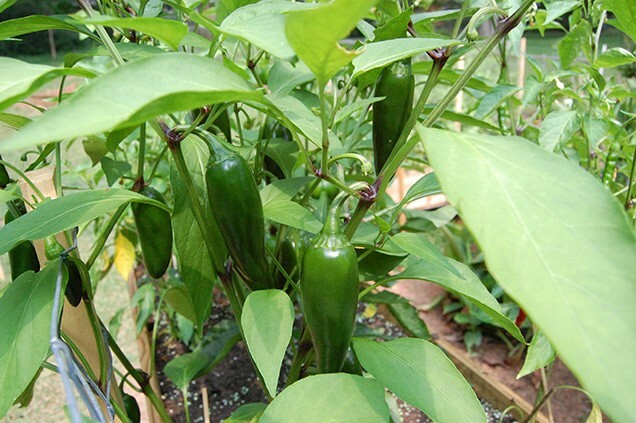 Aside from weeding often to keep the jalapeno peppers healthy, offering composts such as that from mulch or mushroom helps to fortify the peppers, giving them more growing-benefits for producing some of the biggest and plumpest ones out there. Once three to four months have passed, your jalapeno peppers should be ready for harvesting. A rule of thumb is seeing that the peppers are bright green, so if you are looking to pick them at their spiciest stage, then doing so when they are green is the best. If you are going for sweeter and milder in intensity, then waiting until they turn red is optimal. Altogether, growing jalapeno peppers is not as daunting of a task as you make it out to be. In fact, with a little bit of patience and research, you can produce some excellent peppers in no time!